If you need a Hitachi HDD and Hybrid Camcorder SD Card Video Recovery service, then contact our friendly company. 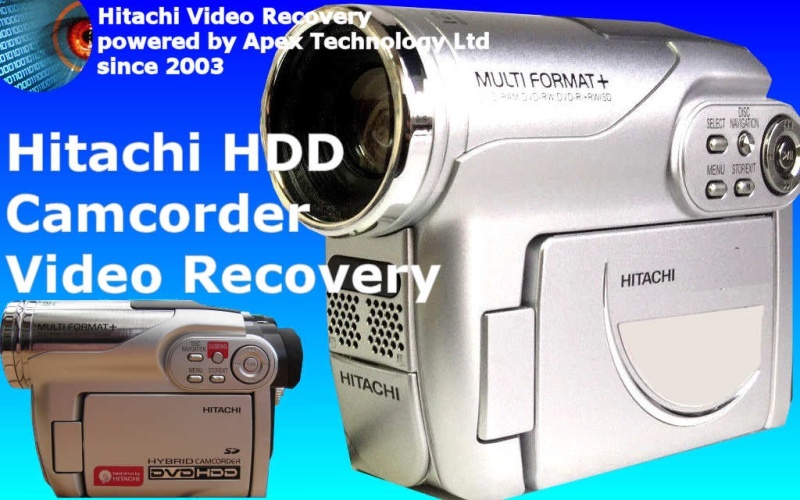 Hitachi Camcorder Video Recovery from HD, SDHC SD card and hybrid camcorders. We can recover video when the camera hard drive or SD card has been formatted, reformatted, deleted video clips. Also extracting the video when error messages are displayed on the screen like "Found error in image file". Hitachi error codes Error Occur, error 0901, 572 2881 0290 0280 2882 1100. Video is also recoverable when Hitachi can not initialize disc error .